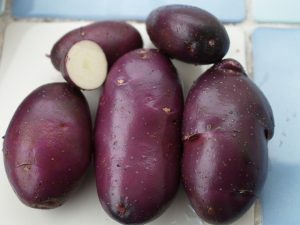 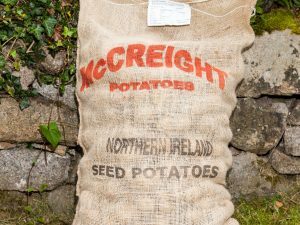 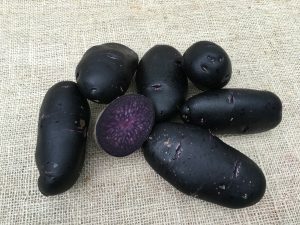 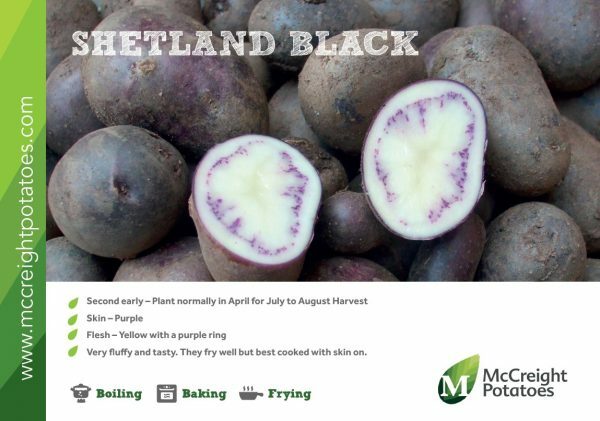 Shetland Black seed potatoes produce heavy crops of small to medium sized long or oval shaped tubers. 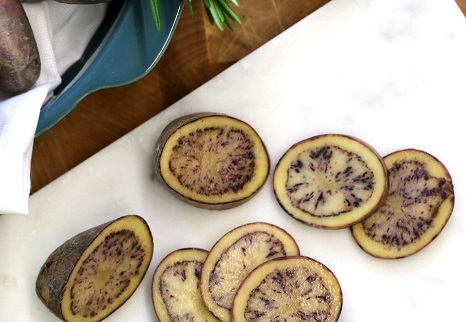 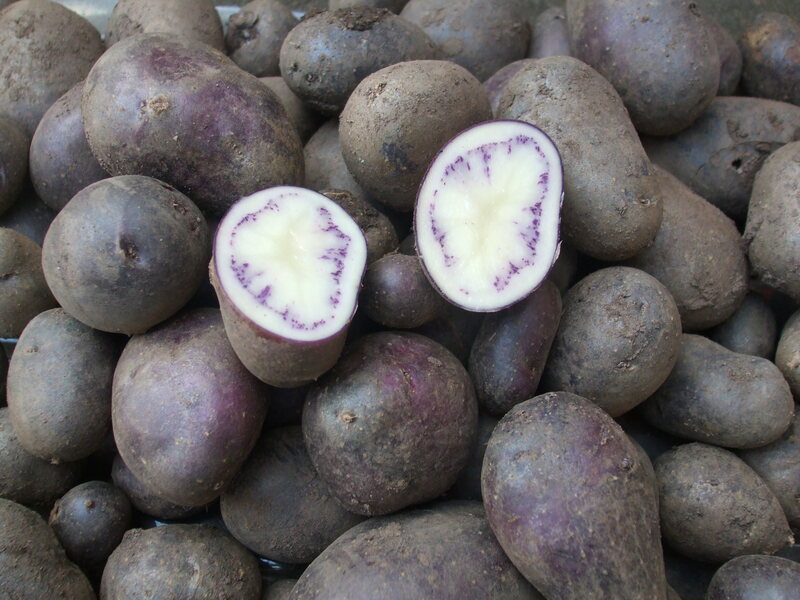 A very dark purple almost black mottled skin, with shallow eyes, hides a distinctive purple ring in the white flesh. 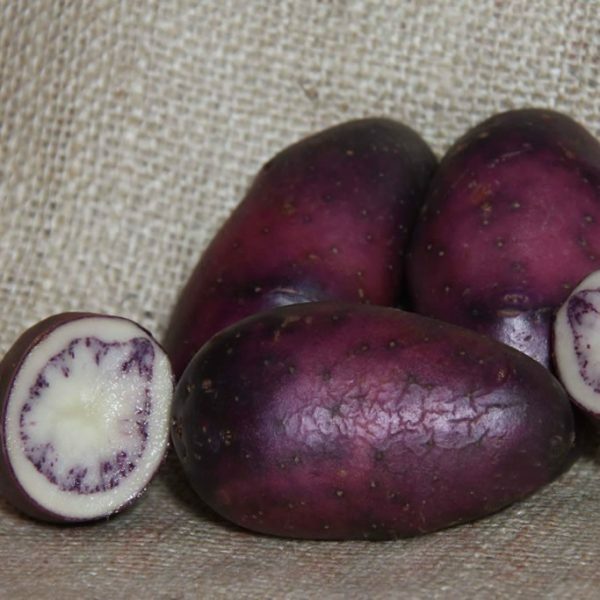 Shetland Black makes a tasty creamy mash , boils well, and will also bake, sauté and fry. 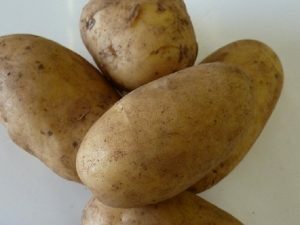 Texture is floury, with a lovely buttery flavour.